Two months after Ambassador Ayodele Oke was sacked as Director General of the National Intelligence Agency [NIA] and two days after Ahmed Rufa’i Abubakar was appointed as its new DG, another scandal hit the intelligence agency at the weekend when $44million in cash kept in its vaults in Abuja was removed to an unknown destination. Daily Trust on Sunday learnt from top security sources that the money was surreptitiously removed even before the agency’s new DG resumes duty. Tracing the origin of the money, the sources disclosed that the Jonathan administration released over $260million to NIA as General Intervention Fund. At the time Federal Government launched an investigation into the funds last year, only the cash discovered in Lagos and the $44million lying in the Abuja vault remained to be expended out of the original $260million, the sources said. According to our sources, the “powerful forces” pushed very hard for the money to be tampered with, saying government had forgotten all about it, but for the firm resistance of the outgoing acting DG. Our sources added, “But barely two days after President Buhari named a substantive head for the agency, a black bullion van was dispatched to NIA and the money was removed to an unknown destination around 6am on Friday. 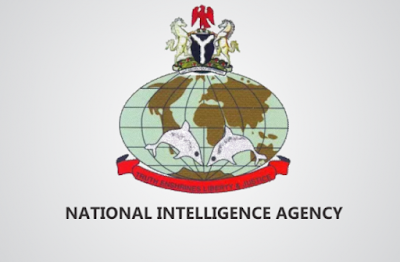 The team that removed the money was accompanied by a serving military officer who was posted to the intelligence outfit months ago as the finance officer.” The total amount of money that was taken away from NIA’s vaults on Friday was $44,285,996. Daily Trust on Sunday learnt that the $43million that former DG Ambassador Ayodele Oke kept at an Ikoyi apartment was part of the funds earlier released to NIA by the Federal Government as General Intervention Fund. Oke was fired from his job in October last year, six months after he was handed an indefinite suspension following the discovery of the money at an Ikoyi apartment by the Economic and Financial Crimes Commission, EFCC. When a whistle blower led EFCC to the money, NIA under Oke said the money belonged to it and was meant for unspecified undercover operations. An investigative panel headed by Vice President Yemi Osinbajo probed the matter and turned in a report to President Muhammadu Buhari which indicted Oke in the scandal. Weeks after he received the report, Buhari announced in October last year that he had accepted its recommendation to terminate Oke’s appointment. Secretary to the Government of the Federation [SGF] Babachir David Lawal was also sacked on the same day based on the same committee’s report, though for a separate offence. Apart from Osinbajo, other committee members were National Security Adviser Major General Mohammed Monguno and Attorney General of the Federation and Minister of Justice Abubakar Malami, SAN. When Daily Trust on Sunday contacted the acting DG Ambassador Mohammed Dauda yesterday, he neither denied nor confirmed the allegation that money was moved from NIA’s vaults. He however promised to investigate the matter and get back to us, but did not do so before we went to press. Hmmm: Do you see anything wrong with this GEJ campaign slogan?